Our pub trips allow people to get out on the water and enjoy the local environment whilst getting the opportunity to visit a local pub. 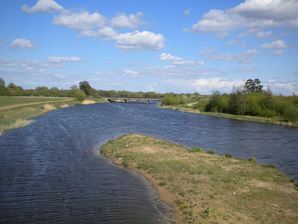 The trips we run are based on the Jubilee River and the River Thames. We supply all the equipment you need to have a safe and enjoyable trip out on the water. We have a variety of crafts you can use such as Kayaks, Canoes (tandem recommended) and Sit on Top Kayaks (both single and tandem). We supply buoyancy aids, paddles. waterproof jackets and wetsuits (optional). All equipment is included in the trip price. All of our pub trips our aimed at people who have little or no experience in paddling, if you do require experience this will be stated on the trip description. 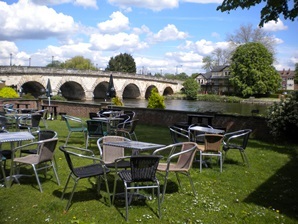 Our aim is to give people a taste of how enjoyable it can be to take a leisurely paddle down the river and visit a pub for either a drink or a bite to eat. For those who do want to eat we can pre-order food before we start the paddle. Our trips include up to 2 hours paddling and at least an hour at the pub, or longer if everyone agrees they want to stay. 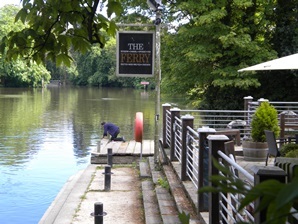 This is a delightful paddle starting at Boulters Lock going through Cookham Lock to the Ferry pub and then return (downstream) to Boulters Lock. Paddle from Boulters Lock to Bray Lock going under both Maidenehad Bridge and the "Sounding Arch" then stop off at the Thames Riviera on the way back. A quiet paddle along the Jubilee River via the nature reserve then we arrive at Dorney. Less than 5 minutes walk away is the Pineapple. After a break we paddle back to Taplow Lake.